Stressed Mum At Home. She Has Her Head In Her Hands At A Messy Kitchen Sink And Her Children Are Running Round In The Background. Royalty Free Fotografie A Reklamní Fotografie. Image 65204958. 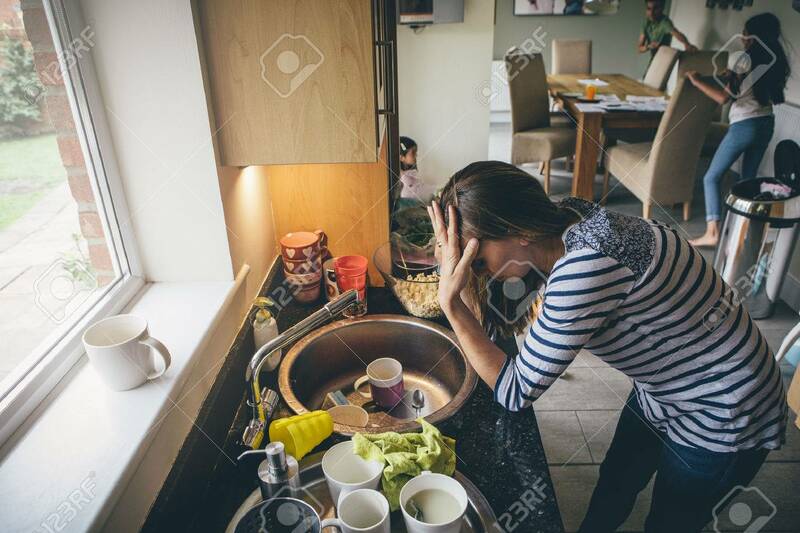 Reklamní fotografie - Stressed mum at home. She has her head in her hands at a messy kitchen sink and her children are running round in the background. Stressed mum at home. She has her head in her hands at a messy kitchen sink and her children are running round in the background.